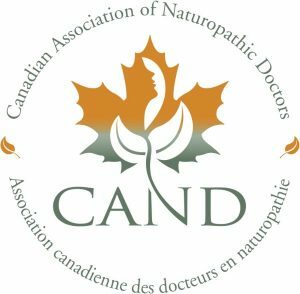 Dr. Jonathan Bablad, ND graduated from Canadian College of Naturopathic Medicine (CCNM) in 2006, where he received Special Recognition and an Achievement Award for his skills in Homeopathic Medicine. He and his partner, Dr. Vanessa DiCicco, ND, have been practicing from Head to Heal Family Wellness Centre in Regina for 8 years and they are thrilled to be in their new wellness space on 2706 13th Avenue. Jonathan practices family naturopathic medicine and focuses on addressing the root cause of health problems. Jonathan has a special interest in Pediatrics, and he is passionate about working with patients of all ages, experiencing many different health concerns. Jonathan’s approach is to develop individualized treatment protocols to systematically address the causes of illness. Jonathan holds a firm belief that the body is highly intelligent and has the ability to be self-healing and auto-regulating. He maintains that symptoms, which are the current focus of the modern medical model are expressions of an underlying imbalance and are attempts by the body to achieve resolution or maintain a certain level of balance. Over his years in practice he has sought out techniques that allow access to this intelligence and insight into what causes illness and the steps to re-gaining health. In 2008, he found what he was looking for in Auricular Medicine, an energetic reflex technique developed in the 1950’s by the French neurologist, Paul Nogier. Auricular Medicine is highly accurate and effective at identifying and addressing underlying imbalances that lead to the symptoms of illness. Jonathan’s intention is to encourage the health, and evolution of each person on a physical, mental-emotional and spiritual level so that each individual can live a fulfilling and purposeful life. He looks forward to working with you to achieve greater health and well-being!